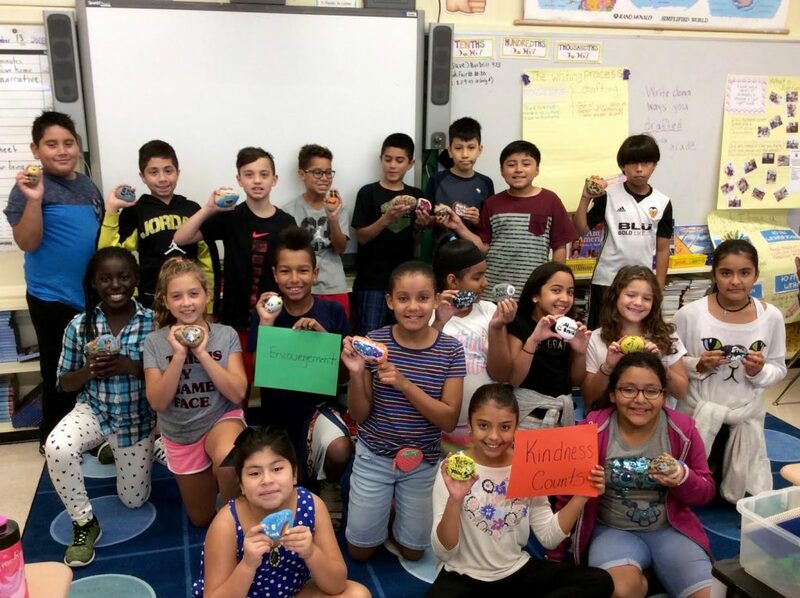 In recognition of National Encouragement Day, Glen Cove students in Mrs. Laura-Ann Hazen and Ms. Michelle Orlando’s class at Landing School decided to paint rocks with pictures and/or words of positivity and encouragement. The students then delivered one to each classroom teacher, the main office, the all-purpose room, the nurse’s office and the security desk. Their hope was to brighten others’ day. The class is looking forward to having students paying it forward and putting the rock somewhere else in the building from time to time. Hopefully, keeping this kindness rock rotating will continue to spread cheer in the building.